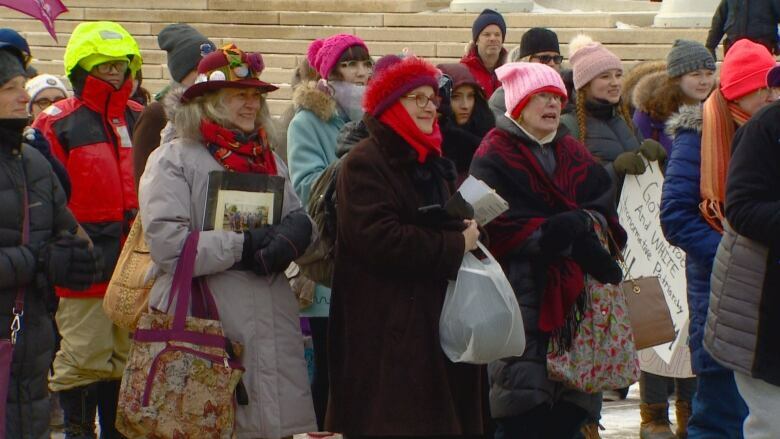 Saturday was a day of action for thousands of women and allies worldwide, including those in Edmonton. 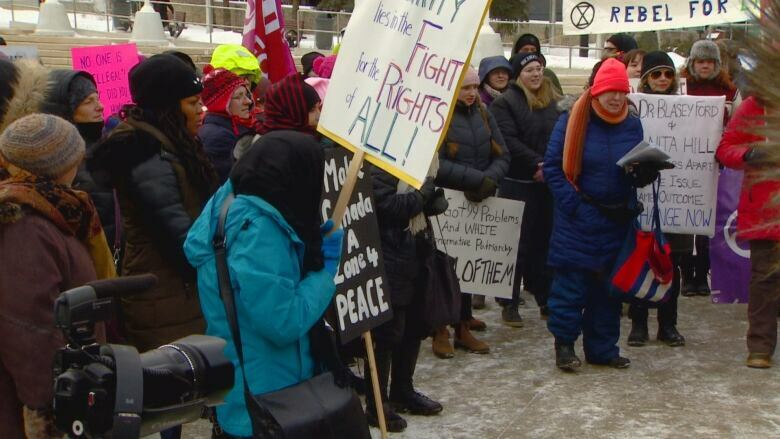 About 100 people gathered in Churchill Square for the third-annual Women's March, carrying signs that read "I'm just here for the equality" and "Women's security lies in the fight for the rights of all." What began as a protest of the election of U.S. President Donald Trump in 2017 has become an international call for justice for women and marginalized groups. 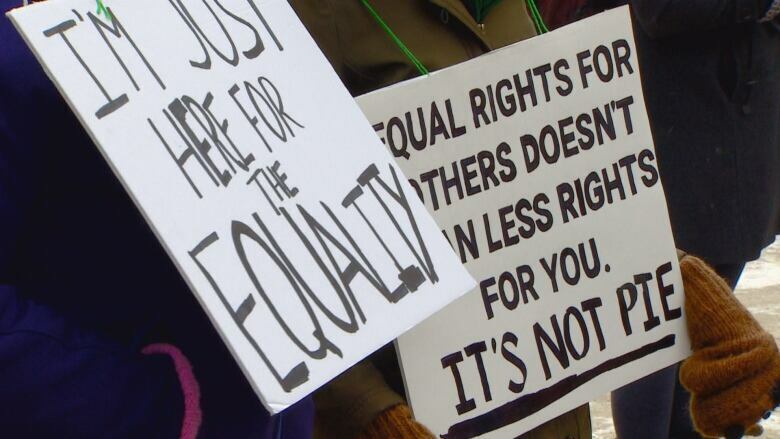 The Edmonton event, hosted by March On Edmonton Collective, saw a series of speakers who highlighted the topics of empowerment and discrimination. Jade Deputan was a first-time attendee of the march. She highlighted the importance of intersectional feminism, which elevates all people, like women of colour and members of the LGBTQ community. "There's multiple levels to it, and to make sure that we're all in this together ... it's so important," she said. "If we're all in it together, then we can do anything." Her reason for attending was simple: to support women. "Women are awesome," she said. "Bottom line." Sydni Zastre was also a first-time marcher, and said she wanted to show support for the right to choose, marriage equality, and the rights of trans people and Indigenous women. She was joined by Isabel Yang, who highlighted the need to show up for marginalized groups. "I think it's really important to be involved in current events to keep yourself accountable and learn what's going on in the world," she said. The march in Edmonton was one of many across Canada on Saturday, including in Calgary, Ottawa and Vancouver.